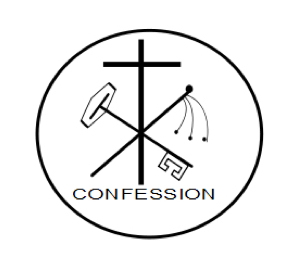 Individual confessions are offered every Saturday afternoon from 3:30 to 4:15 p.m. in our upper church and every Sunday morning at 10:00am in our upper church. During the Seasons of Advent and Lent there are special extra Confession Periods. Please see the weekly bulletin for these listed special periods. Appointments may be made with any of the parish priests to receive the sacrament at times other than those regularly scheduled. Communal penance services are held several times during the year, particularly in Advent and Lent. Penance services allow time for individual confessions with a large number of visiting priests. Penance services are announced in the parish bulletin. We will also list the neighboring parish penance services as they are announced. Individuals who have been away from the Church for some time may find it helpful to review the manner of receiving this sacrament (“going to confession”) and may have questions about what they need to confess. You may feel free to contact any of the parish priests for help in these matters.